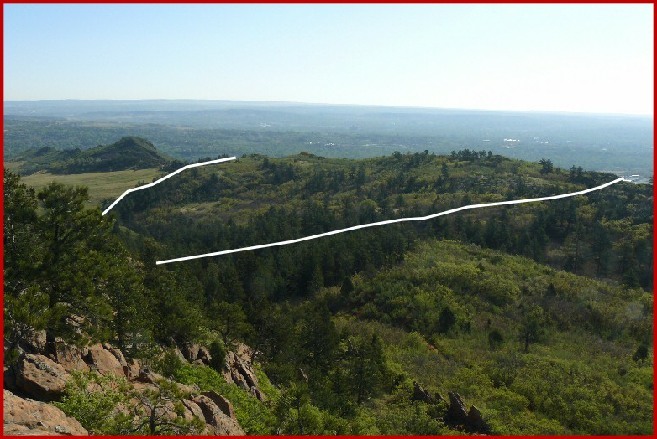 The Dakota sandstone hogback traversing White Acres is a highly visible part of the foothills backdrop for large parts of Colorado Springs and can be seen from as far away as the Black Forest and Corral Bluffs. 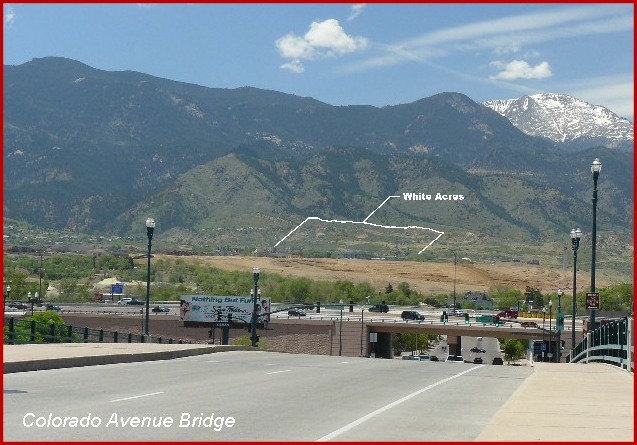 On this property, the hogback reaches its highest point south of Fountain Creek . then you can see where I am. Since White Acres spans the Dakota hogback. Its western part is in the viewshed of Section 16.